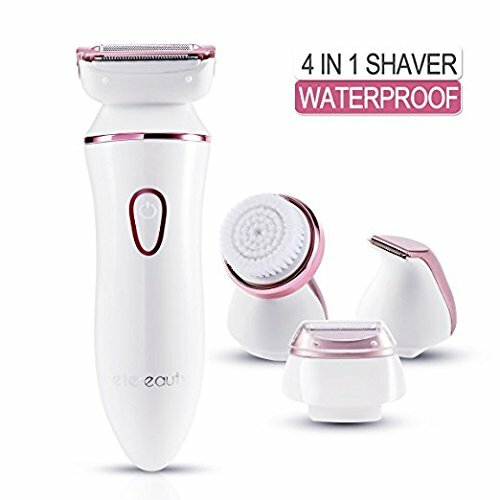 ETEREAUTY Electric Razor for women is a skin-friendly electric shaver for sensitive skin.Four interchangeable heads meet all your needs, comfortably shaving arms,bikini, legs, armpits, faces and intimate areas. Provide you a smooth and closely shaving experience.Leave no hair behind. It fits naturally in either hand for maximum shaver comfort and control.And it doesn't slip out of your grip. The side of the the blade is big enough for quick shaves, and small enough to get around difficult areas. In this one elegant electric razor, you can take care of a host of personal grooming needs. 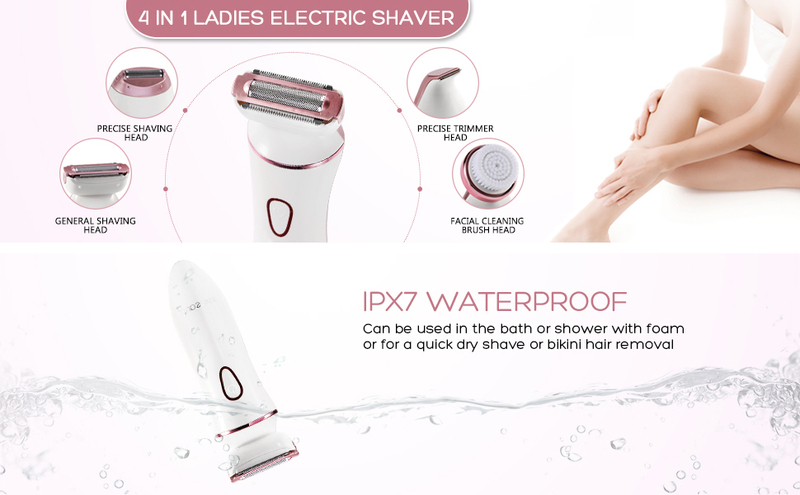 • A general shaver, best for shaving your legs. 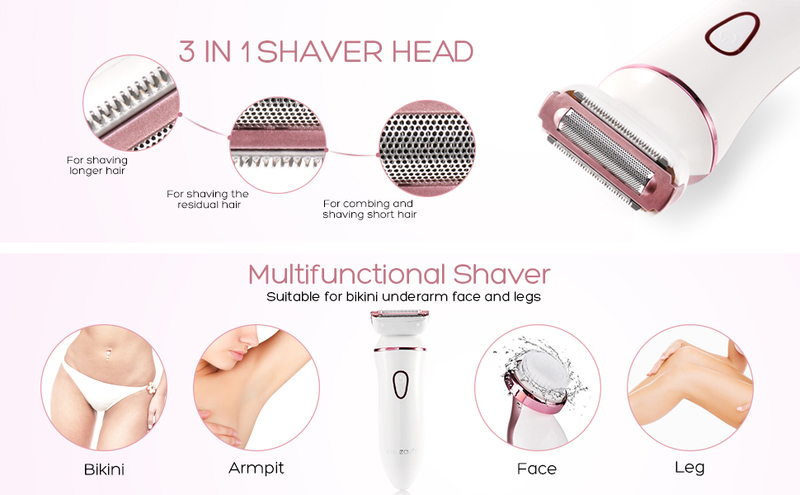 • A smaller precision shaver, good for following the curves under your arms or shaving your bikini area. • A precision bikini trimmer for sideburns or shaping your bikini line. • A facial cleansing brush for gentle and thorough spa-quality skin cleansing. So you can choose either the quick convenience of a dry shave or the comfort and luxury of using the shaver in the bath or shower with your favorite shaving foam or gel. And of course, being fully immersible makes it easy to clean this item under the tap after use. Supports two ways of charging. Charging for eight hours can be used for 120 minutes. There are no batteries to replace.